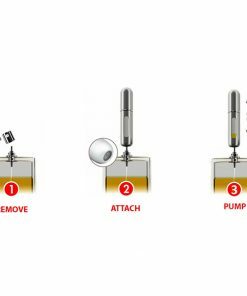 The innovative refill system “Remove, Attach, Pump” perfectly transfers your favorite fragrance from standard perfume bottle to PORTOMY PERFUME ATOMIZER, the “must have” travel accessory for both men and women. 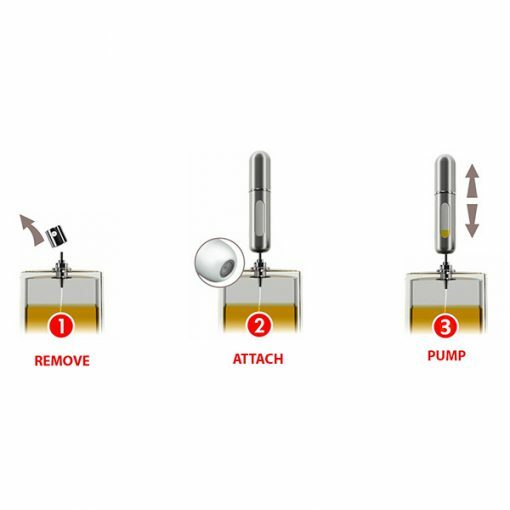 It allowed to be taken onto aircraft in your pocket or carry on baggage. 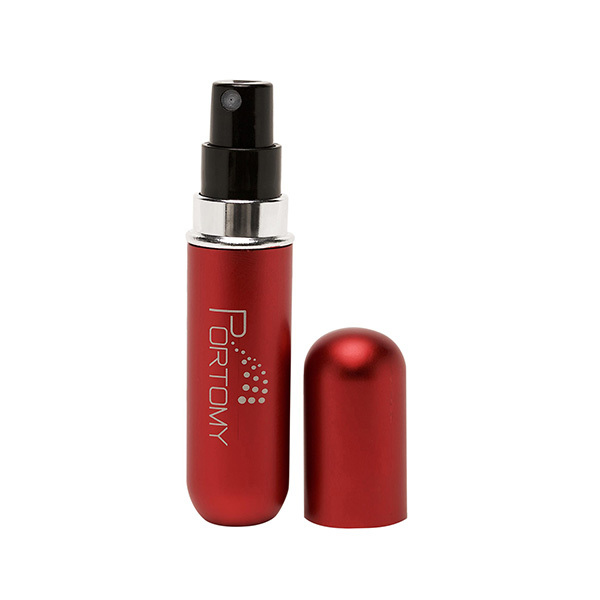 Detach spraying head from standard perfume bottle. 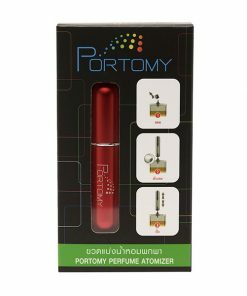 Attach valve on the bottom of PORTOMY PERFUME ATOMIZER with standard perfume bottle. 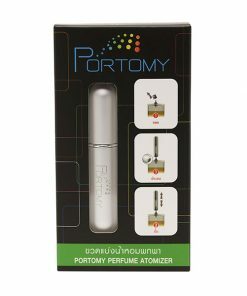 Pump until desired amount of fragrance transferred from perfume bottle to PORTOMY PERFUME ATOMIZER. 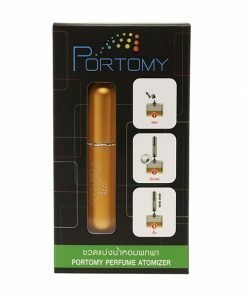 Enjoy your favorite fragrance with PORTOMY PERFUME ATOMIZER any time, any place. Made from: lightweight but strong aluminium. Size: 8 x 1.6 cm. 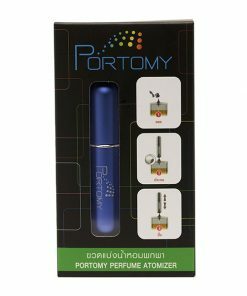 Volume: 5 ml. (approximately 50 sprays). 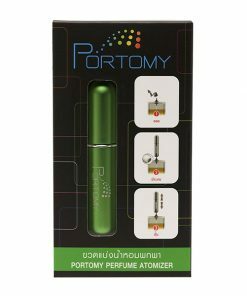 Design: atomizer has a window which lets you see how much perfume left inside. Refill system: easy transfers your perfume without spills or exposure to the air. Aircraft : allowed to take aboard in carry-on or pocket. Easy: the “must have” travel accessory for both men and women.